From time to time there will be cases where a moment comes for counsel to stand before Judge or Jury and say "Good morning. Let me tell you about my Client..." We are Trial Lawyers. When our clients are confronted by litigation, our aim is to bring every matter to its swiftest, surest and most successful possible result. But critical to this is absolute mastery of the trial process – so that the Client can face and resolve serious litigation threats with confidence. In an era of high stakes and early settlements, real trial skills have become vanishingly rare. Not so at Severson, where we have an extraordinary wealth of winning trial experience in jurisdictions nationwide. 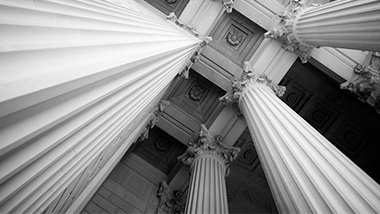 Throughout its 70 year history, Severson has very purposefully identified and developed trial attorneys armed with the skills necessary to deliver winning results in conventional and class action trials throughout the United States. Our Clients know that settlement is a strategic and financial option — but not a necessity. If the need arises, we have the talent and battle-hardened experience to see a matter through the most demanding of trials.